60 minute sessions - 60 minutes sessions provide adequate time to introduce and explore a unit, novel idea, or pedagogical approach. 60 minute sessions are scheduled 09:00-10:00; 10:45-11:45; 12:30-13:30 and 14:15-15:15. Half Day Workshops - A half day workshop includes lots of time for a combination of presentation, discussion, and active teacher participation. Half Day workshops are scheduled from 09:00-11:45 or 12:30-15:15 and should include a short break, as required. Full Day Workshops - A full day workshop is organized around a particular theme or subject which includes ample time for teachers to work with presenters to fully explore a topic and to collaborate with colleagues so knowledge can be transferred back to their school contexts. Half Day workshops are scheduled from 09:00-15:15 and should include lunch and breaks, as required. Two Day Symposiums - A two-day symposium provides time for teachers and presenters to explore a theme or subject in an indepth way via a combination of speaker presentations, breakout sessions, group, and individual work time. Two Day Symposiums are scheduled from 09:00-15:00 on both days of convention, with scheduled lunch and coffee breaks. Speakers receive a modest honourarium to compensate them for the time they spend preparing session presentations and materials. This amount is reported to the Canada Revenue Agency (CRA) by the Alberta Teachers’ Association (ATA). Only in rare cases will a different honourarium be negotiated or approved. This honourium will be shared between speakers who co-present. Co-presenters offering Full Day Workshops and Two Day Symposia which contain multiple concurrent break-out sessions does not entitle each speaker to accumulate honouraria for each individual seminar within their larger events unless this has been preapproved. If payment is to be split between multiple speakers, all speakers must provide their social insurance number and home address to the ATA for tax reporting purposes. Alternatively, one individual or company may receive payment and ensure the distribution of these funds between speakers. This individual or entity would have to provide a social insurance number or GST number and the ATA will report the total honourarium to the CRA as being received by this one individual or entity. If your proposal included an honourarium request and your contract was accepted, then a cheque will be issued to you after your final session is over at the nearest Speaker/Host reception centres. Please note, the location of the speaker/host reception centre at your location. Calgary TELUS Convention Centre (in Telus 111 on the main floor of the north building). If you are speaking at Arts Commons, Calgary Public Library , Stampede Foundation (Performance Arts Studios), Winsport or Calgary Zoo please pick up your fees from Calgary TELUS Convention Centre. Speakers receiving payment will need to provide their social insurance numbers. Companies receiving payment will need to provide an invoice for their services. Speakers with 'paid' sessions will be required to provide an invoice for payment of paid sessions. GST will not be paid unless an invoice includes a CRA GST Registration Number. The provincial Albera Teachers' Association will provide T4 slips each year to speakers whose payment passes a threshold level determined by ATA accountants which is currently $500. International speakers should complete a CRA 105 Waiver form or 15% of their honouraria will be held for tax purposes. Speakers driving between 100 km and 400 km (one way) will receive a travel allowance based on their total kilometrage from their home city to Calgary return. This amount will be added to the honoraria cheque and does not require receipts to be submitted. The current rate for reimbursement is $0.46/kilometer. This allowance covers the costs of gasoline, vehicle wear and tear, parking (including at convention venues and the hotel), and any meals/snacks on the road. Speakers travelling further than 400 km (one way) are encouraged to fly to Calgary at the expense of the CCTCA. A $250 allowance may be provided for speakers flying into Calgary to help with meals and ground transportation. This expense allowance is added to the honouraria cheque and does not require receipts to be submitted. With the advanced permission of the CCTCA speakers may be reimbursed for 'actual costs' of meals, materials and kilometrage provided original receipts are provided. It is the responsibility of the speaker to create an invoice for all expenses and send this, with receipts to the CCTCA. The Canadian Revenue Agency considers $17 to be reasonable for the meal portion of travel allowance and the CCTCA, therefore considers $17 for breakfast, $17 for lunch, and $34 for dinner to be reasonable meal averages. If your meal costs are exceeding these guidelines by a significant margin, the CCTCA Treasurer reserves the right to cap your reimbursement at the $17, $17, $34 rate. Actual costs will be paid as follows: the predetermined travel allowance will be added to the speaker's cheque. Any difference owed after actual costs are reviewed will be paid in a separate cheque and sent to the speaker by mail. Lunch will not be paid on days individuals speak. Lunch is provided at the Hyatt Regency Calgary Thursday and Friday between the hours of 11:00 am - 2:00 pm, speaker pass required. If you are speaking at St Mary's High School, Crescent Heights High School lunch will be provided in the staff lunch rooms. Meals are catered. Telus Spark, food voucher will be issued for use at the cafeteria. Many of our speakers travel with a significant other, business associate, or assistant. Please be aware that the CCTCA only covers the expenses of its contracted speakers. If you intend to claim your actual expenses, when dining, please ensure that receipts/bills are split and that only the speaker's meals are submitted. As mentioned in the speaker information and contract, the CCTCA does not provide remuneration for copied session materials nor does it provide copying for speakers. Please make use of our the speaker file drop/file sharing system to share materials with delegates. If you requested a pre-registered session, you will receive email lists of your delegates prior to the session occurring. If you requested substitute coverage, you must provide the cctcatreasurer@gmail.com with the name and contact information for the HR representative in your school board who can be contacted to arrange payment. The CCTCA pays school boards directly for sub coverage once invoiced; payment is not made directly to speakers. Flights must be pre-approved by CCTCA prior to booking with Tier One Travel. Flights booked prior to authorization will be the reponsibility and sole expense of the speaker. Accommodation will be provided for out-of-town speakers (if requested) at the Hyatt Regency Hotel for either the night before or night after a speaker presents. If a speaker is presenting on both days of convention or travels more than one day's reasonable travel from Calgary, they will receive two nights of accommodation. 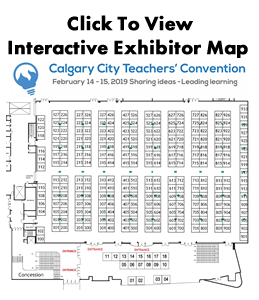 Once sessions are scheduled and confirmed, speakers will receive an email including a reservation website link and an access code (that will connect their room fee and taxes to the CCTCA master account). Speakers will have to provide a credit card to pay for parking (if necessary), meals, and other room charges. The CCTCA Executive Assistant and Hyatt staff will help you register if needed.